BOB ABERNETHY, host: Racial tensions remain high in areas across the US, and many religious leaders have been calling for a new national conversation about racism. Today our managing editor, Kim Lawton, is here with me to talk with Rev. 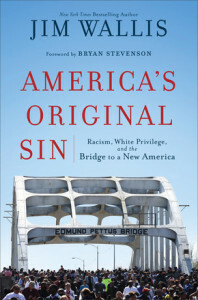 Jim Wallis, editor-in-chief of Sojourners magazine, about his new book America’s Original Sin: Racism, White Privilege, and the Bridge to a New America. He’s launching three months of town hall meetings on the subject. Jim, Kim welcome to you both. Jim, meetings and talks and articles are great, but what needs to be done? JIM WALLIS: Well, this new conversation is being led by a new generation of young black activists, and the voices of young black and brown preachers are part of it—pastors. So it’s all about how we need to listen to each another and have an honest conversation and then change what we’ve been seeing going on around the country. 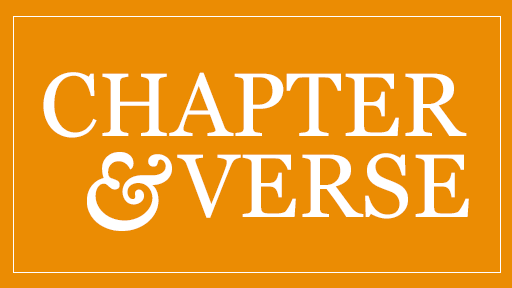 KIM LAWTON: And what role do you see religious congregations playing within that change? WALLIS: Well, you know we’re the ones in the communities and on the streets, so we’re asking everywhere, what does this mean right here and right now to our criminal justice system, to our policing, to the disparities in our educational and economic systems? So what does this mean to the lives of real people? This conversation has been going on for a long time, black pastors and black churches. We’ve all got to now jump in the conversation. That’s the new opportunity here. All of us can be involved. LAWTON: Well, that’s what I was going to ask. There has been talk for a long time. There’s been a lot of wringing of hands and everything. What makes you think that this moment provides new opportunities? WALLIS: Well, we’ve seen the kind of shootings that have gone on have been going on for years. But now they’ve been made visible. Videos. People are seeing things, and they’re now believing things they didn’t know was going on before. White people. And the title “America’s Original Sin”—it isn’t just slavery. It’s the kind of racism we created to justify the use of black people as chattel and property to build this nation, to say from the beginning that black lives matter less than white lives, and that sin is still with us. We have a “Black Lives Matter” movement now. And so we’re trying to say this is theological, this is moral, and we’ve got to repent of that original sin, which means not just being sorry, but turning around and going in a whole new direction. ABERNETHY: And that direction is where? WALLIS: Well, that direction is to honestly see where—that direction is to see where we are right now. In our criminal justice system these differences, these racial differences that are being used to justify these systems that still reflect that original sin have to be challenged and spoken up against by white Christians, along with their black brothers and sisters. ABERNETHY: Are you talking about some kind of basic political and economic revolution? WALLIS: Well, I’m talking about repairing the breech. Isaiah says, you’ll be the restorers of streets to live in and the repairer of the breech. What does it mean to repair this sin that we have accepted for so long in the white churches? I think it’s—pastors need to love their people enough to preach the Gospel to them. And the Gospel says that we are all one in Christ, no Jew or Gentile. We’re all one. And that has not been what’s happening day to day. That’s has got to be changed. ABERNETHY. 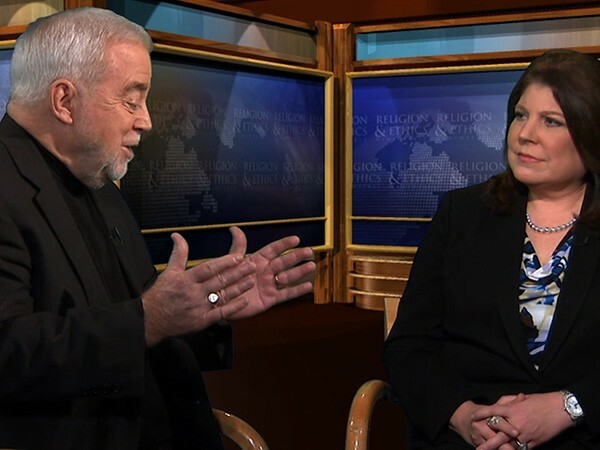 Many thanks to Jim Wallis of Sojourners magazine and to Kim Lawton of Religion & Ethics NewsWeekly. Religion & Ethics NewsWeekly host Bob Abernethy and managing editor Kim Lawton interview Jim Wallis, editor-in-chief of Sojourners magazine, about his new book, America’s Original Sin: Racism, White Privilege, and the Bridge to a New America and his challenge to white churches to become multiracial communities of faith. Another place for needed interracial talks to occur is in and between religious congregations. Faith communities that are becoming more multiracial are some of the best places to have the difficult, painful, and personal conversations Americans need to have about our racial future. If we understand that we are all children of God together, created in the image of God, that’s a good starting point to patiently explain to one another how different our racial experiences have been right here in our own country—and even in our churches. If we worship together, hear God’s Word together, and confess our sins together, while our children are in Sunday school together, we may be in the best position of any group to have the new talks that Americans need to have for the sake of a more multiracial future. Even here in the United States, it is the multiracial faith communities that reflect what the church was meant to be from its founding. Creating new relationships, “sister churches” between white and black and Latino and Asian-American churches, across our own cities’ racial dividing lines, is often a first and necessary step. Visiting one another’s churches, hearing one another’s preachers, singing with one another’s choirs all can be perspective- and life-changing experiences. Pastors must make racial reconciliation and justice a regular pulpit topic in their own churches. But all this is more than just creating “Kumbaya” moments of emotional fellowship. It’s also about setting the stage for the new talks we need to have together about the changes of policy and practices we need in our country. Only with deliberate efforts and energy to build cross-racial relationships between churches can we create the “safe spaces” we need for the hard but necessary conversations we must have in order to build a bridge to a new America. What do you have to offer and how can you offer it? That is an “altar call” for all of us.